These days, phone manufactures are quick at launching pro/plus edition of their existing smartphone lineup. As has been reported earlier about the upcoming launch of LG Optimus G Pro, now it’s official. In Japan, local carrier NTT DoCoMo has officially confirmed that LG Optimus G Pro is due for release in April (Japan is consistently ranking as the first country to witness new android devices, these days – HTC J butterfly, Sony Xperia Tablet Z and now LG Optimus G Pro are introduced in Japan for the first time). No words came out from LG’s division yet, but we expect a worldwide level announcement from LG sooner, probably at MWC, Barcelona. 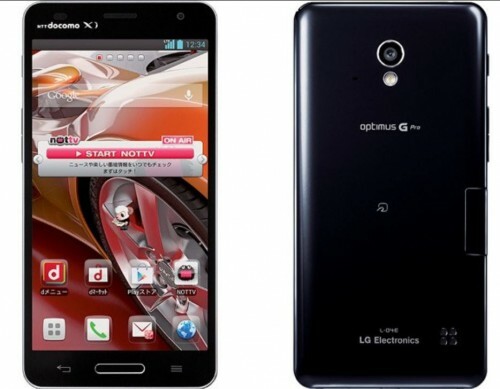 1.7GHz Snapdragon S4 Pro processor, so it’s a minor upgrade in processor from Optimus G.
13 megapixel rear camera with LED Flash. 3000mAh battery – Now this is huge. LG optimus G, in contrast, has about 2100mAh battery. 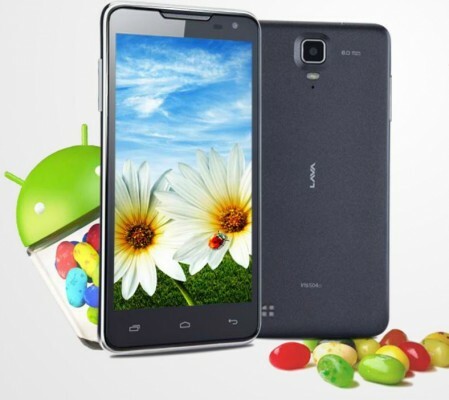 32GB internal storage with external memory card support. Jelly Bean Android 4.1 OS, but we wish that it would soon be upgraded to Android 4.2 after release. Full specifications of LG Optimus G Pro is not out yet, but we’re keeping our eyes and ears on to update you with the remaining list of interest like physical dimension, weight, etc. The release date of LG Optimus G pro is not certain as it varies from market to market, but it would start filling up shelves of stores starting April. The price of LG Optimus G pro will be higher than Optimus G certainly. Furthermore, price is dependent on carrier also. We’re not sure about its price at this point, but once we get more pricing info about other 2013 flagship phones from other manufacturers like Sony (for Xperia Z), we’ll have a more clearer idea. Basically, we’re getting more high-end phones from these top mobile companies – with almost similar specifications. Unless they do something to stand apart from the crowd, market will remain diluted. On this front, Sony has made something unique in its Xperia Z phone. But it would be unfair to judge for LG Optimus G Pro at this point since we do not have full official words from LG at this time about unique features of this phone. We also hope that LG should be active in future when it comes to releasing firmware updates for the phone because this has also been buyer’s remorse in the past year. HTC is also likely to unveil HTC M7 at MWC, Barcelona. 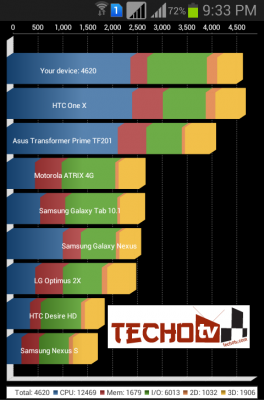 2013 will be interesting year for new high-end phones. Stay tuned with us for more phone news and updates. Don’t forget to connect with us on Facebook, Twitter, Google Plus.